It comes to the final day of our exams. Knackered? Ya, but I am not the only one. Great to see that even though the library was packed in the past two month, no one was causing any disturbance. 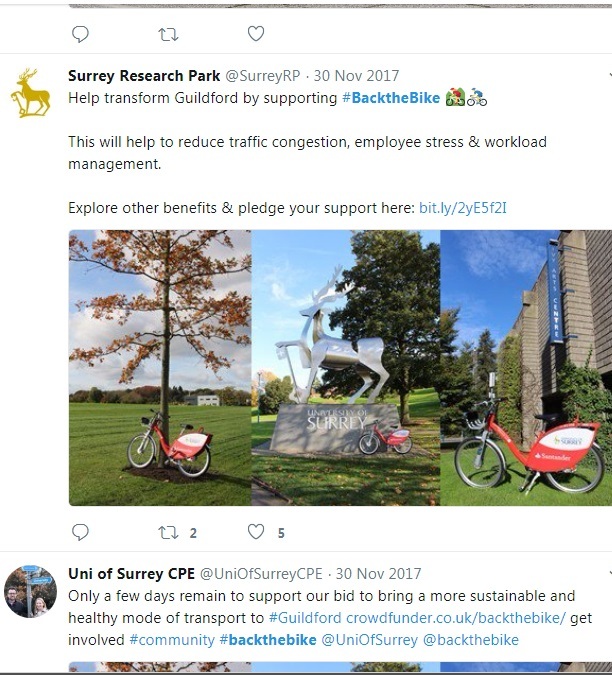 Anyway, time to shift out focus to what else’s going on at Surrey : University of Surrey launched the ‘backthebike’ campaign and it ends with an enormous success ! 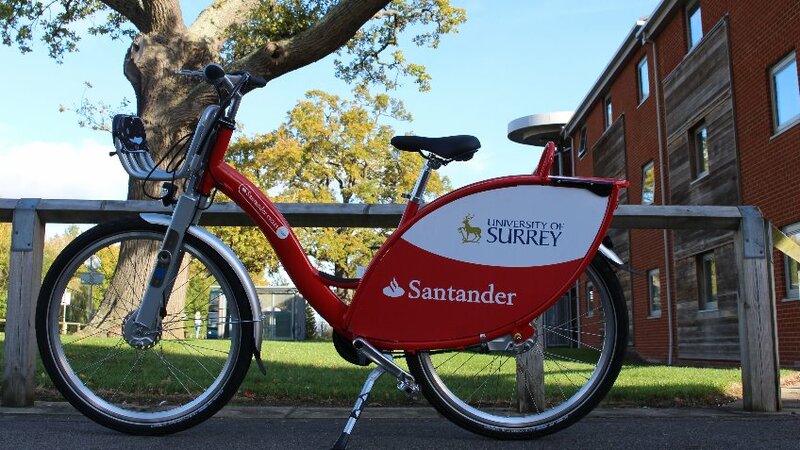 Surrey has joined Santander Cycles University Challenge and made itself to the final stage in November. Following the success of crowdfunding and with the extra £25,000 support from the university, Surrey becomes one of the pioneers bringing the bike-share scheme into reality and the Surrey has announced its introduction as an alternative travelling mode to students from June 2018! As the construction of infrastructure is on progress, Surrey will expect to see 50 bikes and docking stations around the Stag Hill campus and Manor Park campus after completion. The bike scheme has raised £69,906 from University of Surrey through crowdfunding the University of Surrey branded Crowdfunder platform . 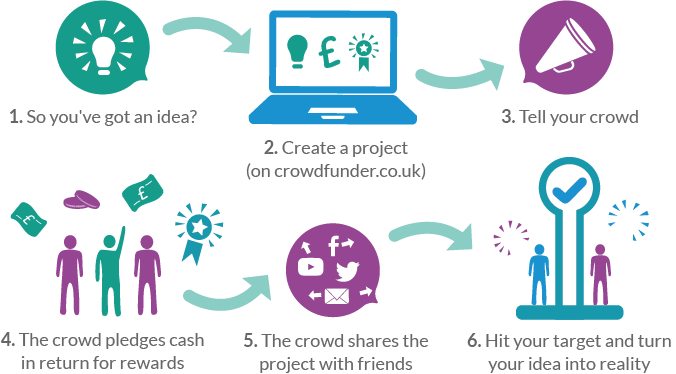 Just to let you know, actually every one of us can launch a crowdfunding project here at Surrey! Crowdfunder is a online platform accessible for all individuals and groups to get go digital to launch a social entrepreneurship. The platform is accessible by all Surrey’s university students and apparently many of us have got a success. The diversity of crowdfunding project shows that anything with good cause can be a limelight in the crowdfunding platform. Click here to check that out ! 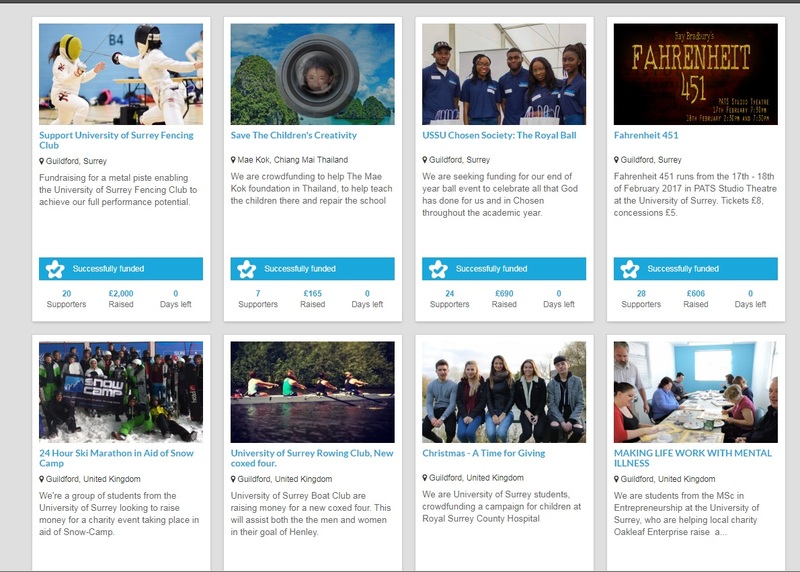 Or get more insight from Surrey Business School about crowdfunding at Surrey here ! N.B.1 ) It happened few days ago when my friends were talking about taking some freelance job in UK. I wasn’t aware before but it has come to my knowledge that International students with Tier 4 visa are not permitted to engage in any self-employed jobs. However , we international students are still eligible for the crowdfunding programme and other Student Enterprise program fully endorsed by the university !